Down the long and winding road that leads through the tawny East Bay hills to where rivers gather to form the Sacramento Delta, you'll find a little Eden in the newly minted township of Discovery Bay. Set like an emerald at the heart of this gated community, the Discovery Bay Country Club offers a perfect slice of paradise for your special day! 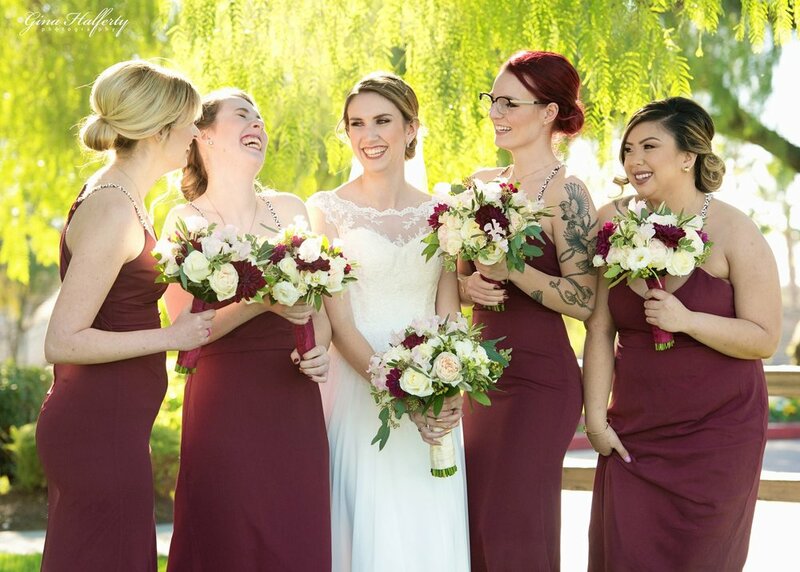 Our bride wanted a grand arbor full of lush greenery, blush, and merlot colored roses. This beautiful setting made all the flowers come alive on a picture perfect day! It was also a day our furry friends won't forget!